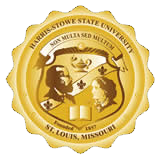 Welcome to HSSU's Department of Information Technology's Web site. The IT Services offices are located in rooms 017 and 014 on the ground floor of the Dr. Henry Givens Jr. Administration Building. Office hours are 8:00 a.m. - 5:00 p.m., Monday through Friday. Our help desk can be reached at (314) 340-3327. Please leave a message after regular office hours.